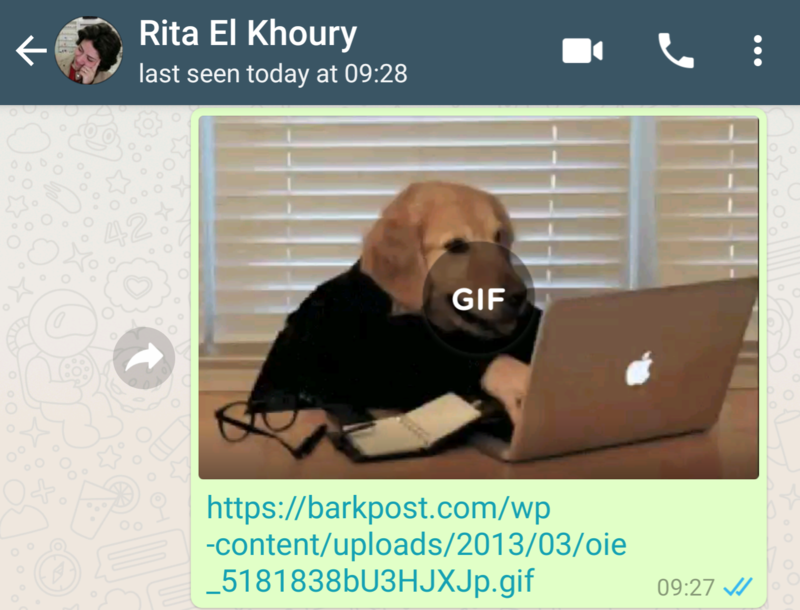 In both the latest WhatsApp stable (2.18.306 - APK Mirror) and beta (2.18.312 - APK Mirror), when you send a link to a GIF, the app offers to download the animated image before sending it. 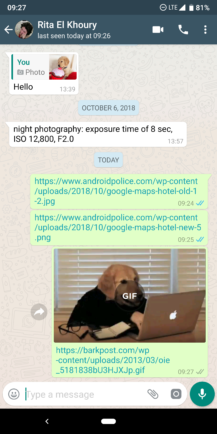 The GIF then opens in its own window, and you can tap to remove the link or insert your own caption, draw on top, and add emojis/stickers or text. 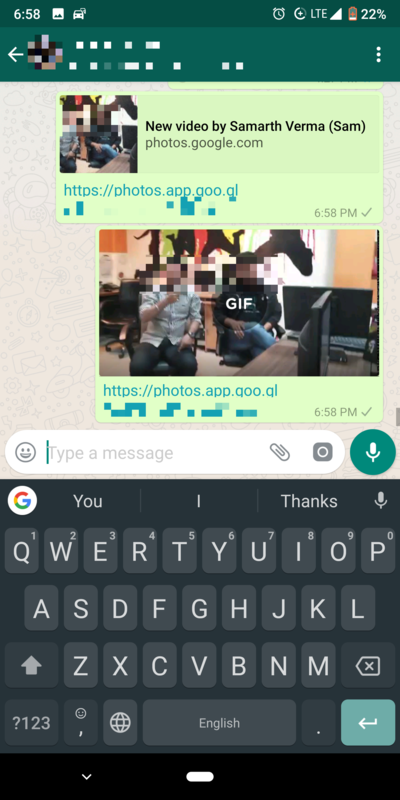 When you're done, tap the send button and the GIF gets shared as if you had attached it from your phone, fully expanded. I tested several other image and media formats, including JPG, PNG, WEBP, WEBM, and MP4, but couldn't get the "Tap to download" option to show up on any of these. Our tipster discovered it when sharing a link to a Google Photos GIF. 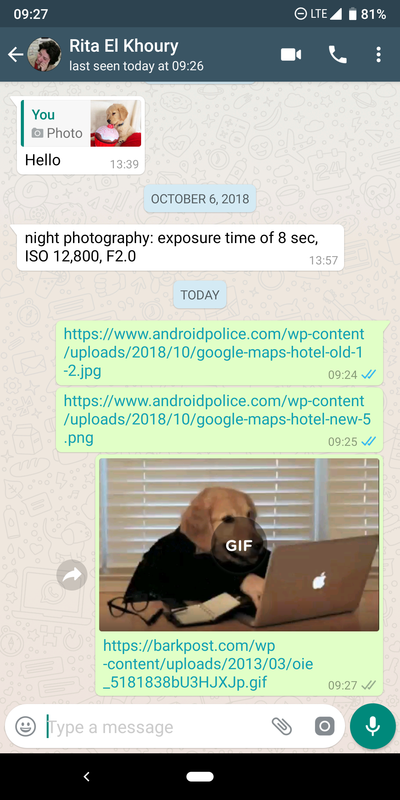 If he doesn't tap to download the image, a small preview thumbnail gets sent; if he does, the full GIF is shared. 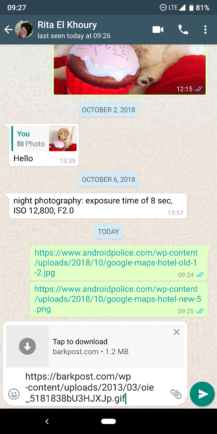 While this is a small improvement, I certainly want to see this feature expanded for more image and video types. 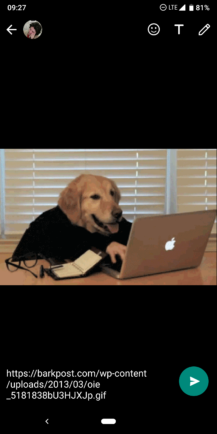 If I'm sending a link to an image, it means I want the other person to see it, and the less friction there is in that process, the better.